It is a fallacy to think that only large organizations with a huge amount of data at their command require through processing of Big Data to gain valuable insights. Even smaller organizations can make use of data analytics tool to derive meaningful information and patterns from the data which could fasten their decision-making process. The resources including workforce and capital at the command of a small business are comparatively less as compared to large organizations. As such, small businesses are more in need for comprehensive analysis of data so that they can survive in the marketplace. Data analysis which is the result of the proper collection, processing, and application of data is not possible by mere application of latest software and tools. In order to derive a pattern from the immense amount of data, it is imperative that you have highly experienced and skilled data analysis or data scientists. However, in order to maximize your benefit after all the painstaking collection and processing of data, it is crucial that you have accurate and relevant data, a place to store them safely and tools and workforce to conduct the right type of analysis. It sounds pretty tedious which may compel you to ask: Is it worth the investment? 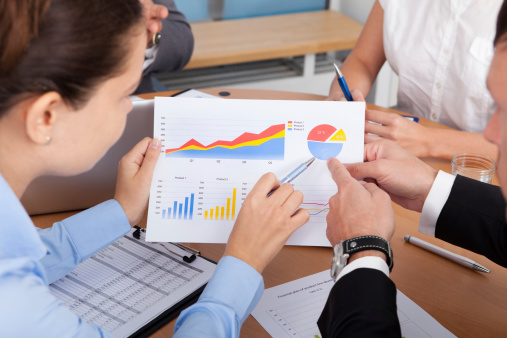 Should a small business even bother to set up and maintain a data analysis strategy? The answer is a resounding ‘Yes' for the following mentioned reasons. Small businesses constrained by the limitation of resources and capital cannot go on delegating responsibilities to other people. This all makes it very very crucial that the tools and solutions stat they have at their command is perfectly capable of carrying out the intended tasks. The real worth or value of data lies in its careful and proper interpretation. Data is only as meaningful as how good you are at interpreting it. Small businesses can save a lot of time and resources by hiring consultants or outsourcing the job. One of the important features of data analysis is that it can provide meaningful and relevant answers in a better context. This is of utmost value as important it will help you in solving problems that you may be encountering as well as ensure that problems do not arise in the first place. Data Analytics for corporate from a top-rated training institute covers in-depth knowledge on Big Data and Hadoop Ecosystem tools such as HDFS, YARN, MapReduce, Hive, Spark, Oozie, Flume, etc. You get to work on industry related projects with hands-on training.